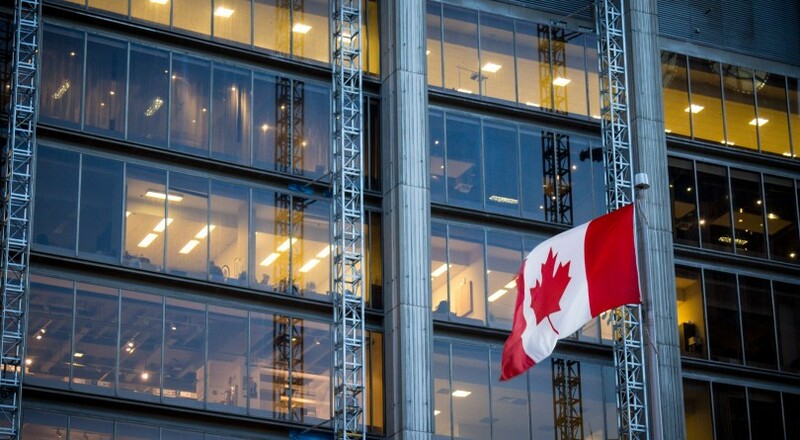 Picture of a flag of Canada waiving in the air in front of a business building in the city center of Toronto, the main city of Canada, and the economic and financial capital of the country. Rona Birenbaum has reviewed plenty of portfolios during her career as a financial advisor, and there’s one issue that pops up time and time again: Canadians are too invested in the Canadian stock market. “In this day and age, for me to still see that, I can’t help but shake my head,” says the Toronto-based CFP with Caring for Clients. Having a high allocation to domestic stocks is understandable. We’re familiar with many of the companies here, and it makes sense to own things we know about. As well, until 2005, there were restrictions on how many foreign stocks one could hold in an RRSP—many people haven’t bothered adjusting. Whatever the reason, having a “home bias” can be a detriment to our retirement savings. Canada only accounts for about 3% of the global market, so owning 40% to 80% in domestic equities—the allocation Birenbaum often sees when new clients come to her—does not make for a diversified portfolio. Most investors have a home bias—regardless of country—and you should be aware of the pitfalls of being heavily invested where you live. When it comes to Canada, there are many. Firstly, you have more non-portfolio assets here than you think. You might own a house here that could rise and fall in value. Your job may be tied into Canada’s economic fortunes. You may work for a company that pays you partly in stocks. If something goes awry, then all your Canadian assets could fall at the same time. “That’s the classic reason for diversification,” says Eric Kirzner, a professor of finance at the Rotman School of Management at the University of Toronto. Secondly, the Canadian economy is heavily concentrated in three sectors: mining, energy and financials. We’ve seen what happens to Canadian stocks when oil prices plummet: Between June 2014 and February 2016, when West Texas Intermediate crude fell by 72%, the S&P/TSX Composite Index dropped by nearly 20%. The Canadian economy went into a recession, and jobs losses piled up. Banks have been strong, but if there’s a housing crash, as many have predicted, our financial institutions could suffer. The other problem with being heavily concentrated in three sectors is that there’s not enough to choose from in other industries. You’re interested in investing in cannabis, you say? Well, in Canada, that—and other sectors like biotech and even technology—consists of small- and mid-cap companies that could go bust at any minute. “If you’re investing in these sectors here, you’re just hoping for it to climb [sky high],” says Paul Harris, partner and portfolio manager with Toronto’s Avenue Investment Management. To truly diversify you need to invest in U.S. technology and biotech, which offers more established companies, he says. Holding on to too many Canadian stocks also means you’re missing out on gains elsewhere. If you only invested in the S&P/TSX Composite over the past five years, you’d be up 26%. America’s S&P 500 climbed by 70% over that time. It would be a shame to miss out on even some of those gains. So what can you do? If you’re an ETF or mutual fund investor, start by reducing your exposure to Canada, says Kirzner. That could mean buying a more global ETF that holds country allocations more reflective of the global markets. The Canadian-listed iShares MSCI World Index ETF (TSX: XWD), for instance, has a 3.17% allocation to Canada and a 62% allocation to the U.S. However, you may not want to go that far, says Kirzner. Canadians do need to be cognizant of currency ris. If you buy stocks outside the country—even ETFs in Canadian dollars that hold U.S. companies—prices can fluctuate based on foreign exchange movements. While research has shown that currency movements are mostly flat over the long term, they can have an impact in the short term. Also, we do spend money in Canada and our retirement dollars will likely be Canadian, so you don’t want to avoid investing and earning money in loonies altogether. Kirzner has about 20% of his equity portfolio in domestic stocks, 30% in U.S. companies and the rest in Europe and in emerging and frontier markets. Birenbaum’s balanced portfolio clients—who hold 50% in equities and 50% in fixed income—have 10% of their portfolio holdings in Canada, 23% in America and 17% internationally. On the fixed income side, she recommends holding 20% in Canadian bonds and 30% elsewhere.